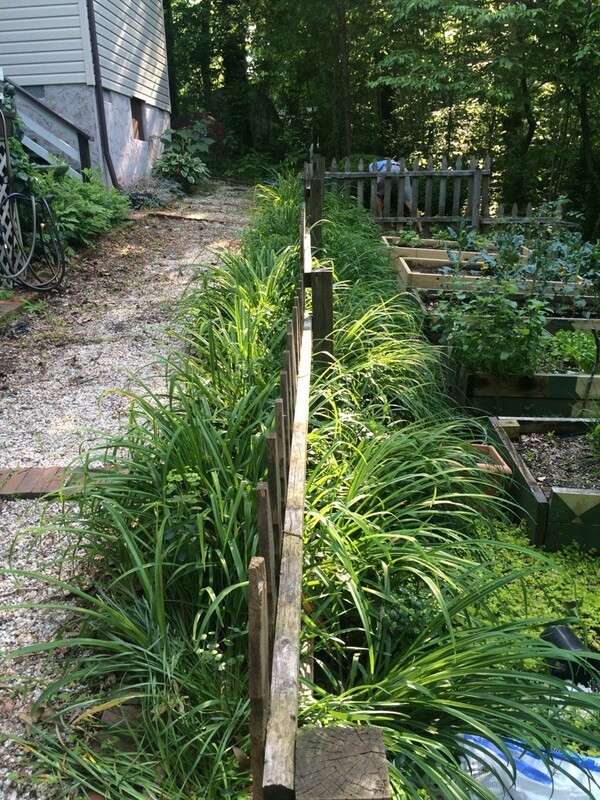 The month of May was filled with gardening, gardening, and more gardening. 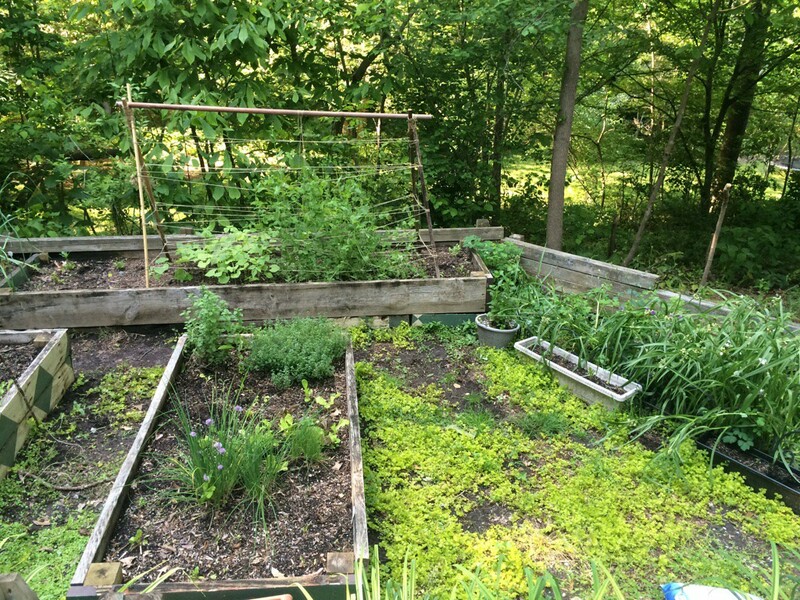 There was a lot of work to be done on the property, and though most of my time was NOT spent in the actual vegetable garden, I’ve spent enough time there to begin reaping a harvest which is very exciting. 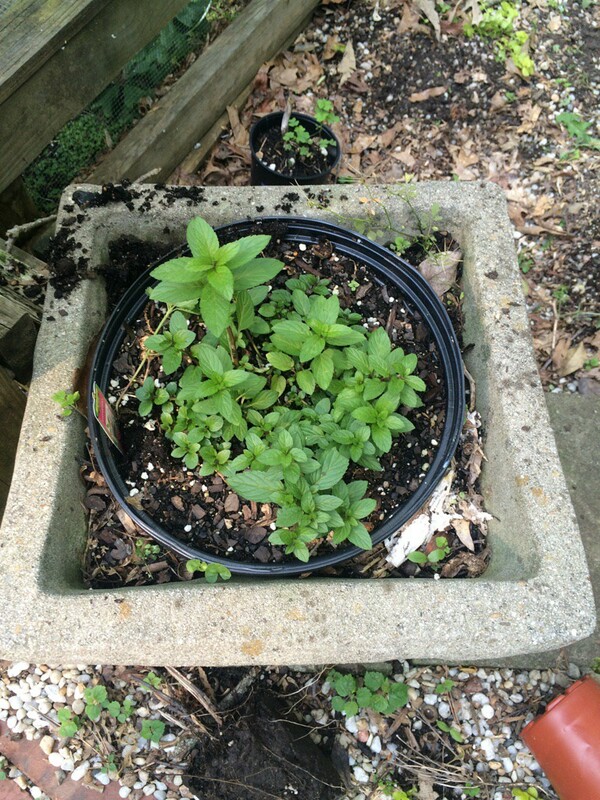 The oregano, lemon thyme, and chives really took off. They just look pretty out there. 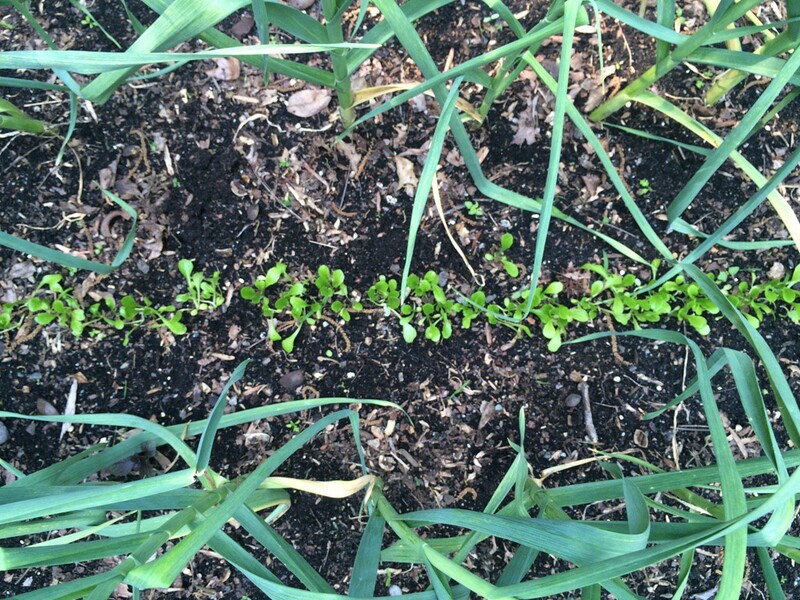 I replanted Swiss chard several time in the front bed and back bed to TRY to get something going. I’m still waiting to see what they do. This varmint of ours is quite the beast. He has dug up every single bed several times, but thankfully most of the food has survived him. My Swiss chard is the only thing that can’t seem to withstand him. We’ve just about determined it must be a raccoon. 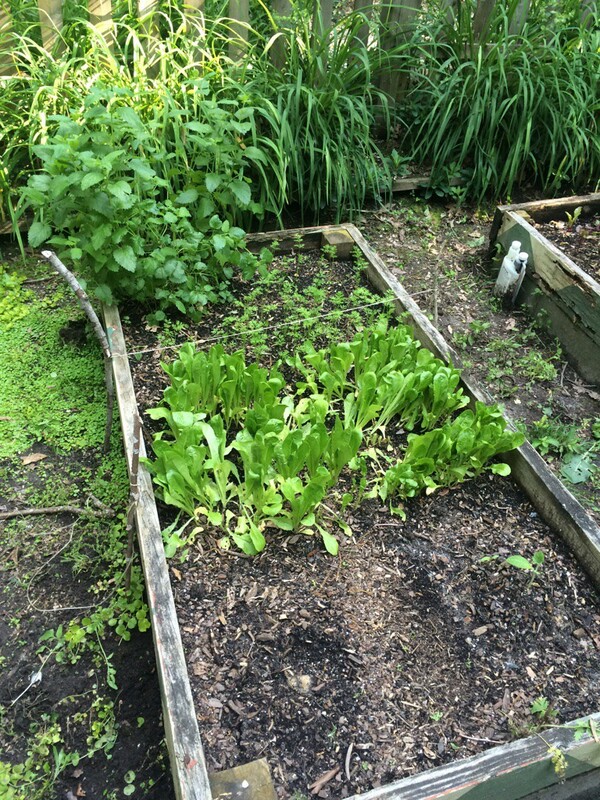 Anyway, the Rocky Mountain Lettuce Mix in this bed continued to be dismal, but that’s okay. Lesson learned. 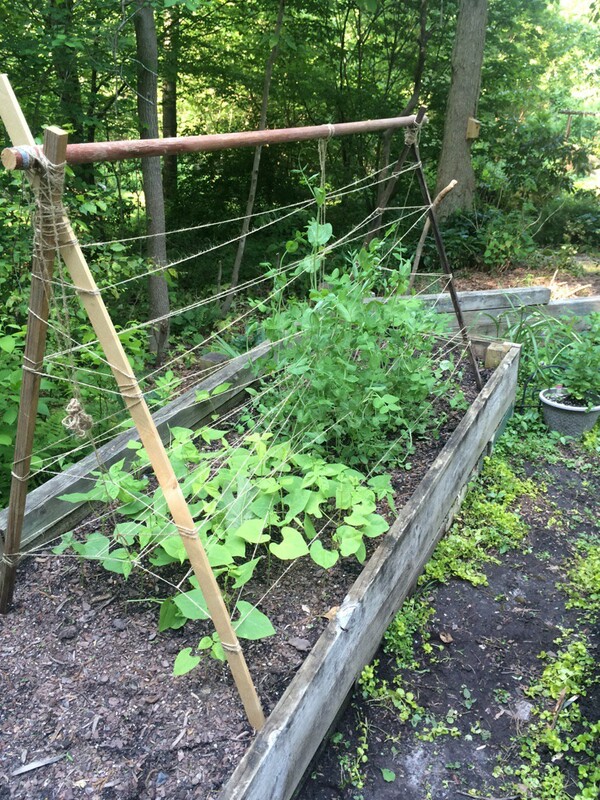 Our trellis did not work like we thought it would and because of all the rain I wasn’t able to really guide my peas the way I wanted to. So it could have been the rain. 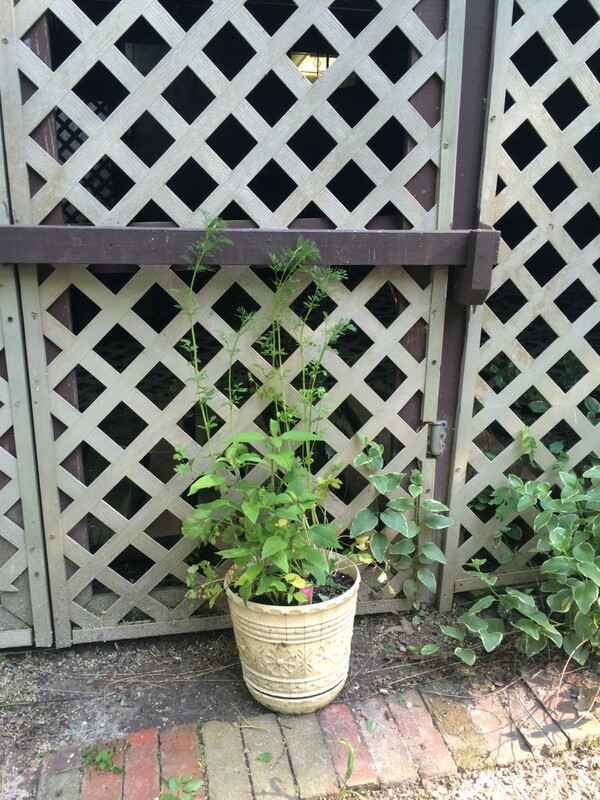 It could have been the trellis. 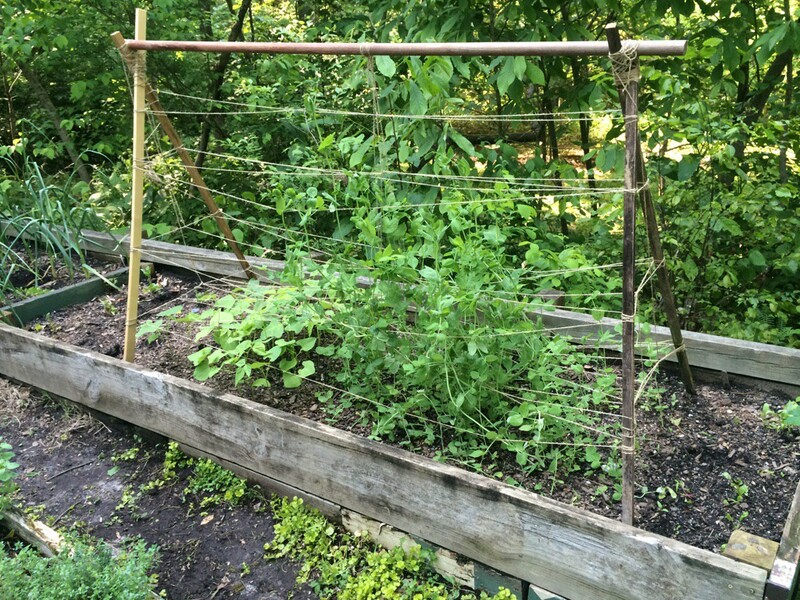 I do not know, but I do know that I will do a different trellis for my peas next year. Either way we’ve been unclumping peas all month and hoping they do okay. 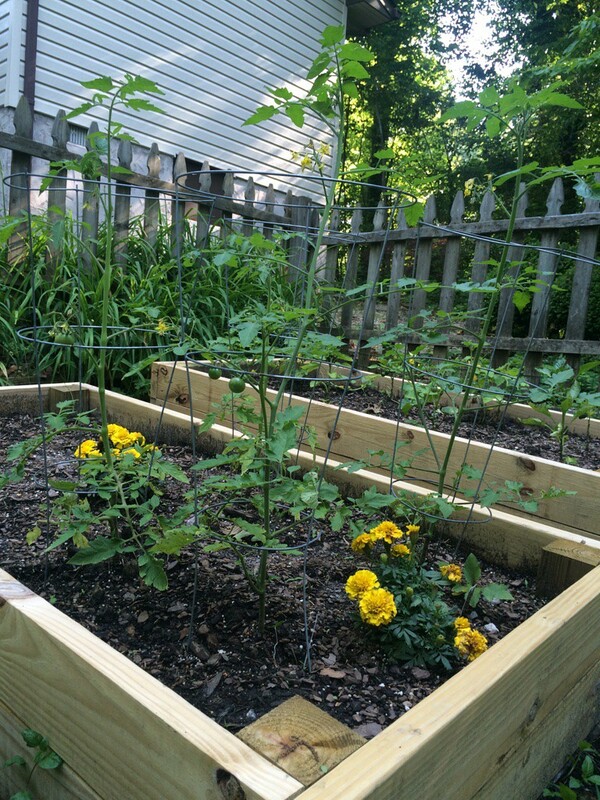 The beans have sprouted up nicely as well and are reaching for the trellis. I can’t wait to see what either of these crops produce. The four spinach plants I got from Walmart ended up doing okay and we had several meals of spinach. I don’t have a picture because they’ve bolted now that the weather has turned blazing hot. They took some serious attention when they went into the bed, but they were worth the effort. I would grow spinach again. 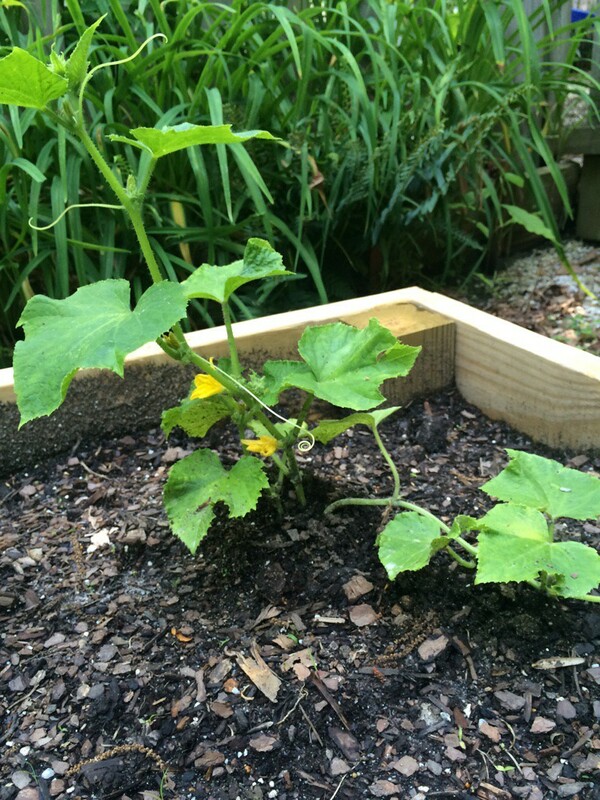 In the above bed, the front right is a squash plant sprouted. There were supposed to be two but the raccoon demolished the one on the left. I didn’t replant because I was sick and then put on bed rest later for pregnancy stuff. I figured we’d just see what our one plant does this year. The Parris Island Lettuce, however, has done beautifully. We’ve been harvesting and enjoying salads all month long. 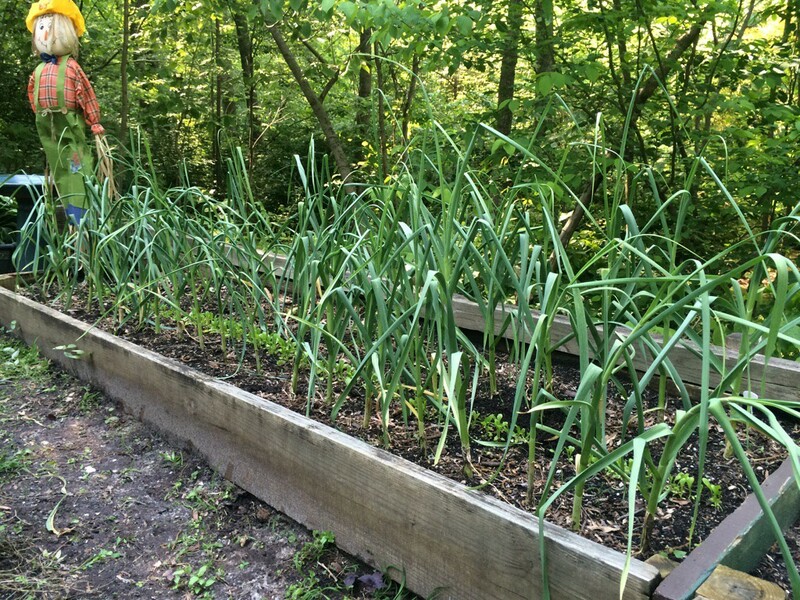 Since it was doing so well, we planted some more with our garlic. We figured the garlic would grow a bit larger giving the lettuce a little shade in the month of June when we hope to harvest it. 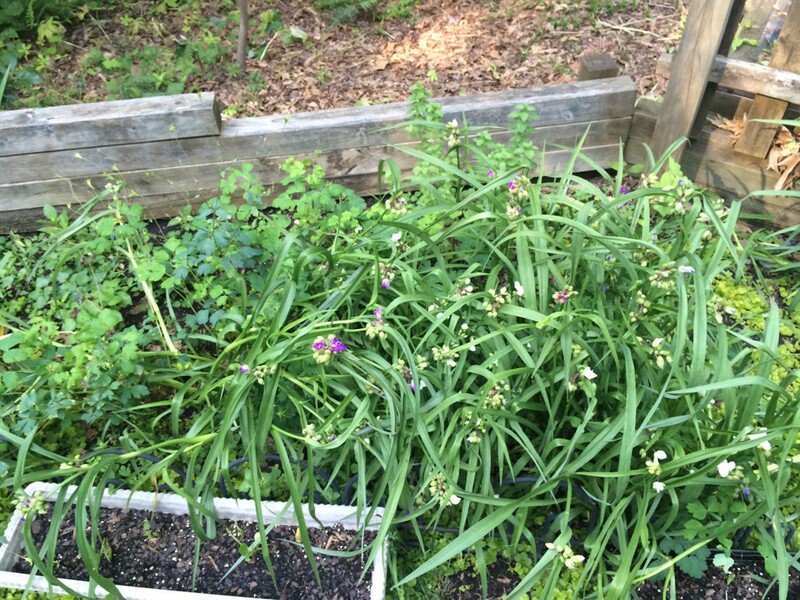 Speaking of garlic, it seems to be doing okay too. I cannot figure out if it has scapes yet or not … It’s a bit confusing and I’m tired (still pregnant … ) so I’m just going with it. 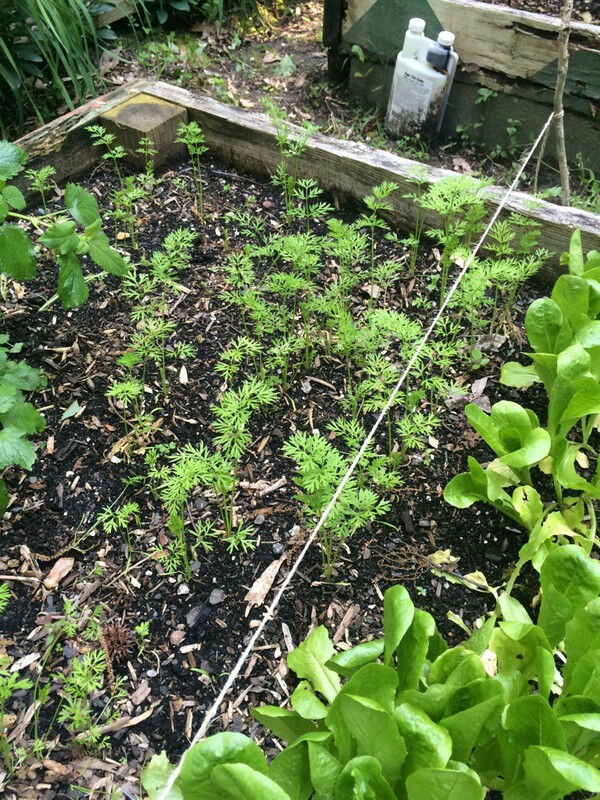 The carrots are bushing up a bit and I’ve been working to keep them thinned. I’ve never been great at thinning my vegetables, but I’m trying really hard this year. It’s such a simple concept, but I often feel like I’m doing it all wrong. ha! The broccoli plants are like whoa! They have THOROUGHLY impressed me. I got the plants from Home Depot and we’ve been enjoying baby broccoli in our salads every time I harvest lettuce. I would definitely grow these again! The beets are still growing under there, but I don’t know if they need more sun … time will tell. 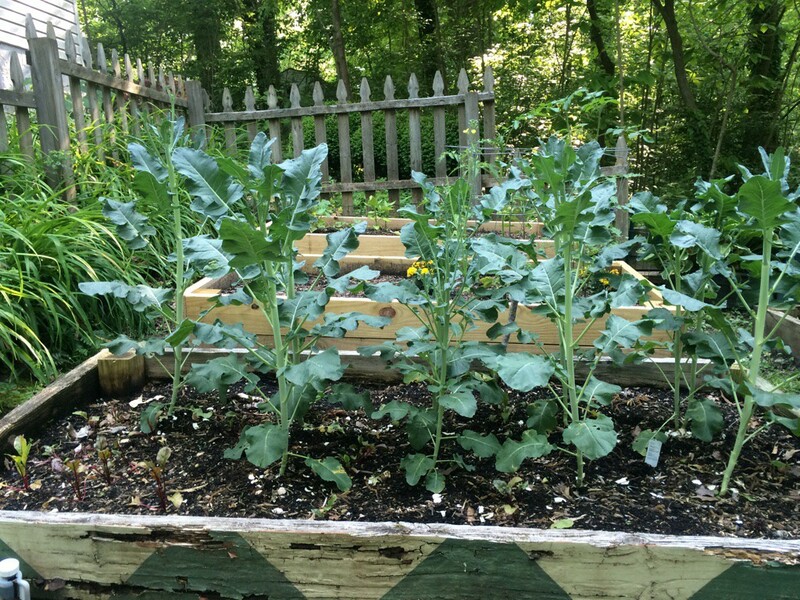 I didn’t expect the broccoli plants to grow so huge. The above picture was taken with one week left to go in the month and more rain made them grow to almost double the above size. Wow! We managed to get four tomato plants in this month. We got them from a local nursery and they are doing fabulous. Again, this was taken before another big rain and all the plants have doubled in size. We will be staking them this month as the fruit begins to grow. Almost all of them have some green tomatoes on them. 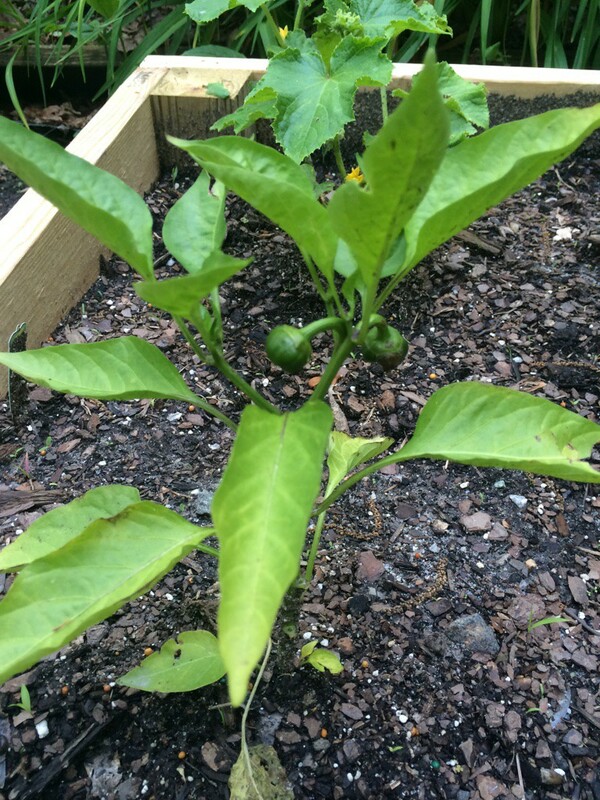 We planted four pepper plants (from Home Depot) and four pickling cucumber plants (bush variety from local nursery). 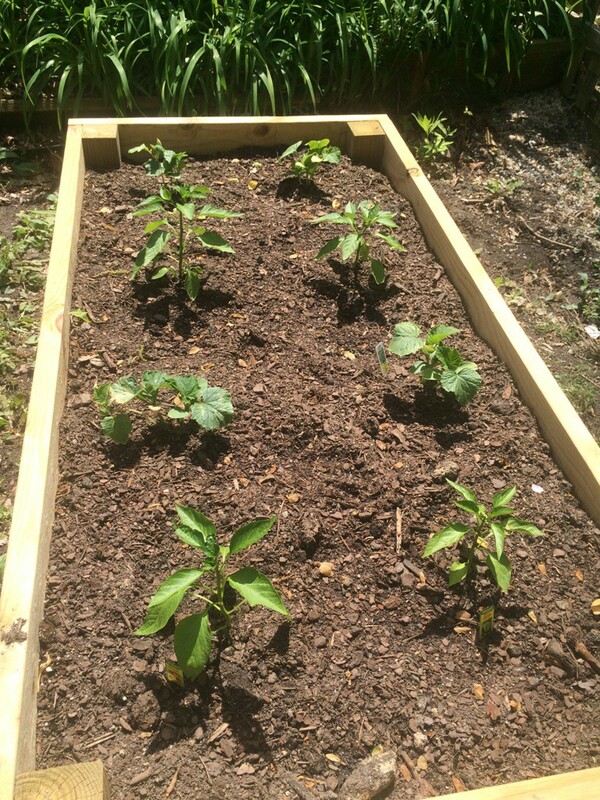 The peppers are growing and we’re waiting to see what the cucumbers do. They went in around the first of the month. 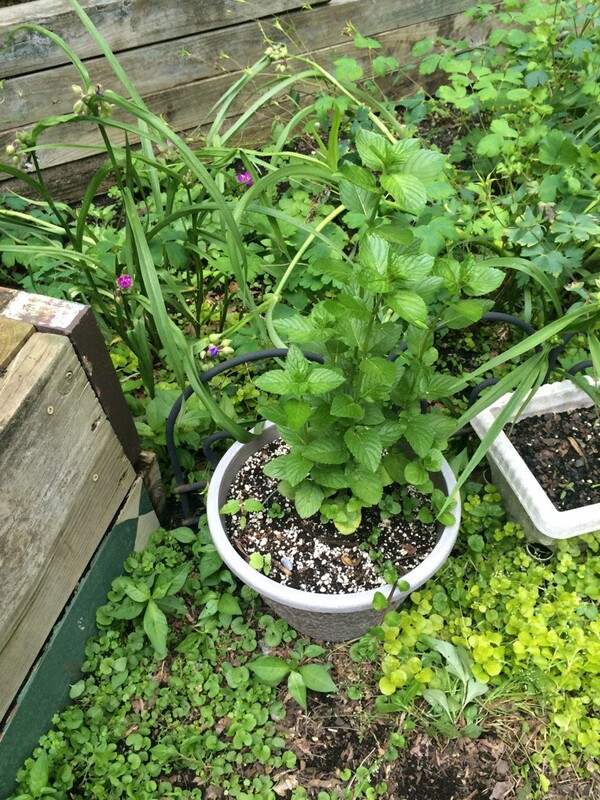 The spearmint is thriving in its little pot. The peppermint invites us into the garden nicely. 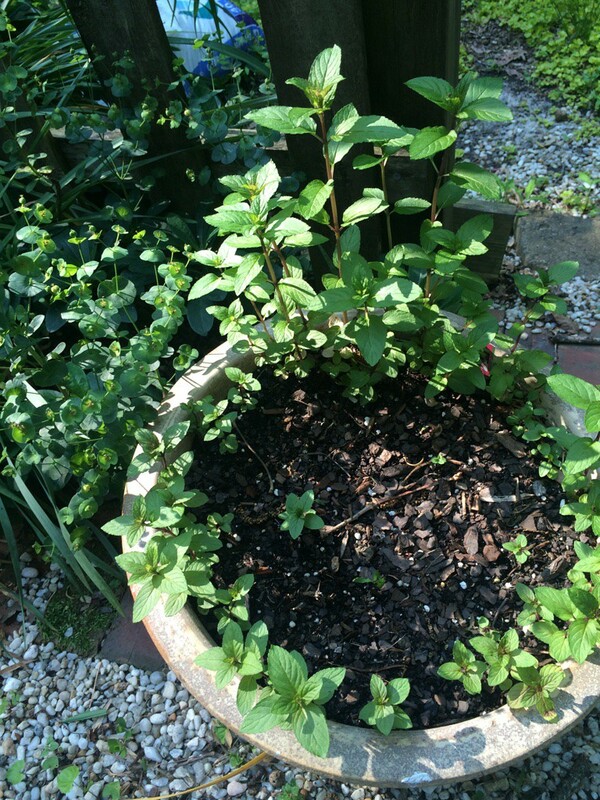 And the chocolate mint is equally as inviting and I’m hopeful that in the next year or so it will take over this pot. The pineapple sage and cilantro grew out of control – again thank you rain. This is a hot mess. I don’t even know what all is in here still. I had to let it all come up this year just to see how it works, but after these flowers bloom I’m getting a hold of this forest. There has been something blooming in here since mid-April but we’ve not enjoyed any of it because it all comes up in big clumps. So this needs some sorting out. My lemon balm and oregano is under there somewhere. Phew! So the month of May brought with it a lot of salads and fresh tea. We’ll see what June brings!